When looking for a bulk sms supplier for your bingo clubs there are a few main questions to consider. Are the prices competitive? Are delivery rates and quality high? How good is the support? Does this company have a track record and finally, Are they always innovating and coming up with new ideas for marketing our services. 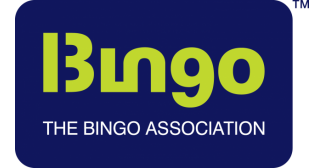 With so many companies offering bulk SMS services nowadays and promises being made left, right and centre, we decided to address these 5 questions directly and with respect to how we provide bulk sms for bingo clubs. We’ve been in the bulk sms business for almost 10 years and having started with our first customer in 2009 we now have over 30,000 customers worldwide. We serve a number of casinos in the UK and Northern Ireland with our services. It has always been our policy to keep the cost down for our customers. We send millions of messages every month to the operators and negotiate prices based on our volume. We’re 100% transparent in what we pay, the profit margins we make on each SMS and pass on savings to our customers. Because of this we can offer you the best price on the market with a price match guarantee that if anyone says they’ll beat this price, we’ll match that too!! As I mentioned earlier there are thousands of company’s worldwide offering bulk sms. Many offer cheap routes at crazy prices to hook in customers. These low quality routes result in consumers not getting the texts (you are still charged!!) or getting it multiple times and getting very upset you’re your business. We decided not to go down this route and build relationships with the mobile operators directly. Consequently we have direct connections to all the operators and can stand over our super-fast and high delivery rates. We don’t do the phone machine thing! When you sign up with us you will get the mobile numbers of both your account manager and the CEO of the company. Both are available 24/7 for anything you need. We believe totally in building a long term partnership between ourselves and our customers and we show this by being available at any times for your needs. There is 2 way communication with our customers and we keep a list of all ideas from customers, staff and the industry. We are always innovating and adding new ideas to the service to make your sms marketing more effective and less time consuming. At industry level we are one of only 20 companies in the world who are part of Google’s RCS program which will bring a much more immersive experience to Bulk SMS. Some are calling it Text 2.0 and it should be with us in 2018. Thank you for taking the time to read our blog and we hope that it has provided some good reasons why you would consider Sendmode for your providing bulk sms for your bingo club. If you would like to give us a try please click on the link below and you’ll be brought to our pricing page. From there you can setup a free trial and we’ll give you a call. This article was posted in Blog - All Entries, Bulk SMS Marketing Tips and Advice and tagged Bulk SMS, Bulk SMS for Bingo Clubs. Need an API for Sending SMS?